Stonework where the blocks have been squared and brought to regular horizontal courses. The courses can be different heights. 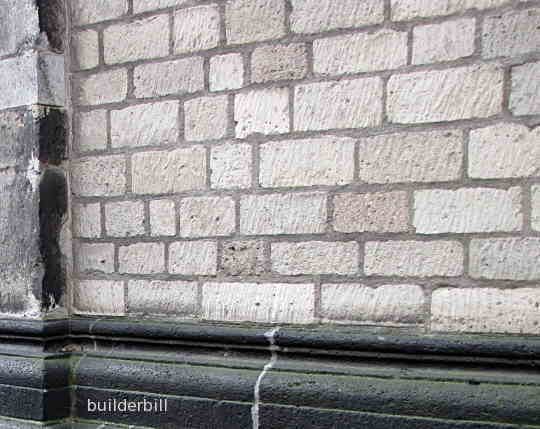 Coursed masonry on the Romanesque Basilica of St. George in Cologne, Germany. 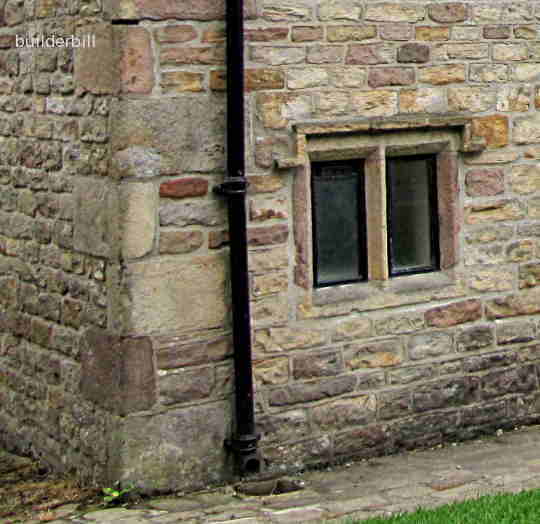 In both cases here the stonework has been cut to courses but there has been no attempt to make the lengths of the blocks the same. In the photo above the face is smooth with regular tool marks showing while below the faces have been left rough. Coursed and squared work at Rivington Barn, Lancashire UK.